[13.10.22] T-ara "Our families cried when they found out we were contenders for 1st place"
"we almost had a party at home amongst us" Oh my god, poor girls, how do you almost have a party and then give up? That's so terrible... I'll go to a Party City tomorrow, buy the pointy hat and throw confetti all about my desk if I have to, some one has to celebrate for you guys no matter how small it is! KBS was fast to takes these down but I found a pretty good quality upload of it on vimeo (unsubbed though!) Looking forward to if Diademsubs does this one http://vimeo.com/64978008 Also Soyeon is the boss! I should have scrolled a little bit farther down before watching the unsubbed one all the way through lol Thank you Tiek! Very cool. [12.09.04] T-ara to perform at comeback stages and release a music video with "Little T-ara"
Oh god KKS, you are the devil, but it can't be said you don't have some wit about you. I'm looking forward to the comeback nonetheless. Surely KKS didn't think there was only 7,000 of us Queen's left? LOL get that new server up and running A.S.P.! I'm still flabbergasted that something this good comes with an album I bought for about $18.00 right? Mine hasn't arrived in the mail yet but I'm very eager to get my hands on it! Also thanks for the upload. [12.08.14] T-ara's Hyomin says with tears in her eyes, "Please only ask me about the drama"
Don't pay heed to those "people", I have tried like you to reason with them but they are already decided. One I spoke too knew only of what he saw in "the animated gifs" saying that was proof enough, I looked at his history/playlist on youtube (that's where this took place) and he only had 2-3 videos of T-ara out of 150 various Kpop related things. These people who hate on T-ara they don't actually know anything, they haven't followed them, haven't taken any true interest in them that isn't skin deep or superficial. We must ignore these people, they care only for their own truth and bypass all of human decency and due process. I haven't much I can contribute the whole thing but there is a story from a buddha I wish T-ara could take comfort in. One day, Akkosaka heard that someone from his religion had converted to be a Buddhist monk. Enraged, he stomped off to curse the Enlightened One with harsh words in person. After letting off his steam, the Buddha had a calm conversation with him (as abridged) - 'Do friends come to you as guests?' 'Yes.' 'Do you serve them delicacies?' 'Yes, sometimes I do.' 'If they don't accept them, to whom do they belong?' 'They would be mine.' 'Likewise, that with which you have insulted me, I do not accept - it is all yours. Whoever returns insult to one who insults is said to be sharing company with that person, which I do not.' Hearing this, Akkosaka assumed he was displeased, to which the Buddha replied, 'Where is anger from one free of anger, who has his mind tamed and equanimous, who is liberated with right understanding, who is tranquil? One worsens matters by flaring up at another who flared up. Whoever doesn't flare up at another doubly wins a battle difficult to win, benefitting oneself and the another. Understanding another's anger, one mindfully maintains one's peace. When one does so to heal the illness of anger for both, those who think one is a fool do not know the Dharma.' Hearing this, Akkosaka remarked at the magnificence of the Buddha's teaching, and ordained as a monk to learn from him, thereafer attaining Nirvana (as an Arahant)! 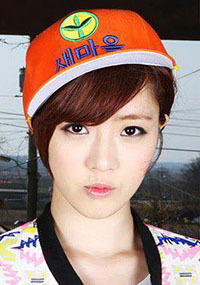 Akkosa Sutta Members of T-ara, do not accept their words, leave them with the naysayers and be at peace. I feel bad for her, she desperately wants to return to work in what ever way she can but the uncertain state of T-ara could leave her feeling like all her options are closing off. She really is fighting right now. and the Haeundae Lovers crew should take this situation into account and rewrite the script to let her come back when she's recovered, Hwayoung, I hope you're not turning your head to this whole situation. Stay safe Sso, we love you and care for you. Its raining outside right now as I read this, god forbid the stupid things that can happen in this world but I can see those ***************************************** haters turning this into something. I won't deny I did the same. As the time passed we all got to see how hollow the reports of bullying have been and make better judgement. The so-called news reports of bullying and the now debunked accounts like from the back up dancers were considered news. This report is indeed just as valid if not more so because it refutes many of the supposed evidences of bullying using the very same sources that were used to incriminate T-ara. The truth should be opening up that the conflict has arisen mostly from the efforts of the media and outside influence/perspective who have not demonstrated any strong factual evidence. Glad to see that the truth is circulating around now. I was about ready to write up an e-mail to allkpop why they haven't yet reported this and that they are clearly bias but I rechecked this article and noticed its only been posted ~30 minutes ago. I'll give it another 3 or so hours more. Nothing beats Diadem, the admins, translators and the fans here are the best, thank you for always getting us the news fast and standing by T-ara, especially when they need it.